"There's a great belief and trust in people making these, and I feel very fortunate I've been part of it. And they're such perfect playgrounds. It's like there perfect sandbox. You can tell a personal story that doesn't necessarily have to go out in the world and make millions." This is what Enrico Casarosa (director of Pixar's newest short La Luna) had to say when discussing Pixar short films with Disney's D23 magazine. In the Summer issue of D23 there is a wonderful article featuring La Luna written by Sarah Smith. Enrico Casarosa discusses the concept of La Luna based on his personal experience, "I grew up with our grandfather living with us in tight quarters" says Enrico. 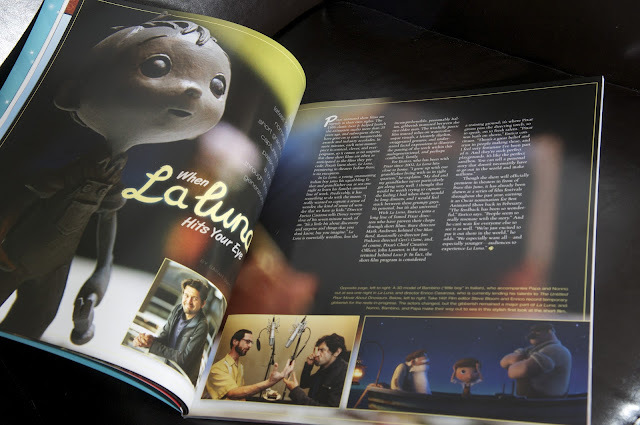 La Luna's cast of characters include a young Italian boy, his father and grandfather - whom I'm assuming all live under the same roof. One night the young boy learns of his family's unique line of work while out to sea with his father and grandfather - and this is where the story unfolds. Enrico himself hails from Italy which makes this film all the more intimate and special. It's almost as if we will be given the opportunity to peer into this talented directors life. 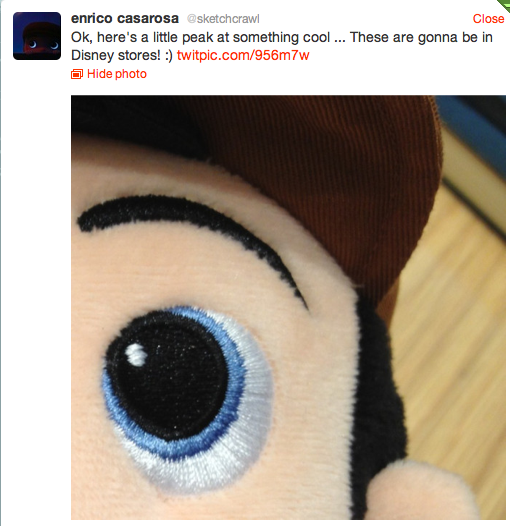 We're still hoping to find Bambino in our local Disney Store soon - as seen here in this tweet from Enrico Casarosa on April 7th. Don't forget to pick up your copy of the Summer issue of D23 magazine on newsstands now.